Get in your summer fun while you still can! 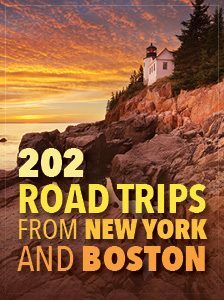 Take a road trip to Connecticut to enjoy the assortment of engaging, heart-pumping and thrilling outdoor activities available throughout the state. Choose and cut your own Christmas tree this year. Take a look at our selection of ten Christmas tree farms near NYC and Boston to find one closest to you. These Connecticut winter retreats are just as enticing in the off-season. The Radio City Christmas Spectacular is holiday fun for the whole family. Take a break from crowded shopping malls this December and head to a festive holiday market. Here are a few of our favorites in the Northeast. On Location Tours provides fun, film-first perspectives of New York City and Boston.